As you can see from the table above, that’s really fast. This bandwidth tier is usually offered by fiber-optic providers, and might be a perfect fit for businesses that need aggressive bandwidth and for sophisticated users such as video editors or gamers. Do i need a Gigabit Internet ? If you only need is to read emails and watch some shows on Netflix, you won't need a Gigabit Internet. You can but its going to be a unused paid resource. What does a Gigabit Internet feels like ? Reddit user "prozackdk" says, "I downloaded 36 GB in just under 10 minutes from a fresh installation of World of Warcraft which as I recall uses peer-to-peer networking to download. 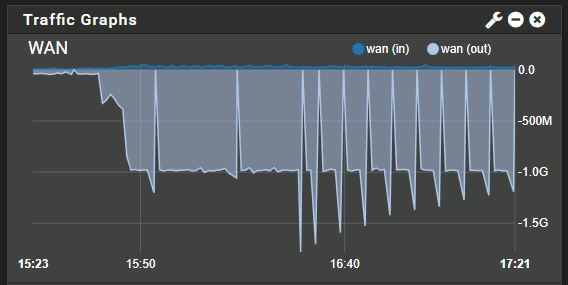 It's not often I get close to wire speed internet transfers, but it's nice when you have it and makes you appreciate the effort you put into building a nice home network." The biggest advantage to having gigabit symmetrical is that you generally don't need QoS and no one has slow downs due to too many people trying to surf or download. Another example from a reddit user, port53 says: "Backing up everything to Google Drive is quite nice. I can push 980Mb/s constantly for the entire duration of the backup. Paired with unlimited Google Drive, I just have jobs set up to backup everything that changed every day, with diffs forever. Gig is actually useful to me." Read the reddit thread here. What's your take on this ?